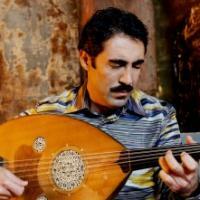 Tune in tonight, Thursday feb 27th 11:59pm, for a live interview with Oud and Violin master Simon Shaheen. Shaheen is a palestinian-american musician and composer born in 1955. His work includes solo albums such as Turath (1992) but also group ensembles since he formed the Near Eastern Music Ensemble in 1982 New York and Quantara, an arab-western fusion music band with whom he released the album Blue Flame (2001). In addition to his work as a musician and a composer, Shaheen has also a theatrical repertoire and is a teacher at the Berklee music school. In 1994, he received the National Heritage Award for his overall contribution to the world of arts. Simon Shaheen will be performing on the 1st of March at Roulette, New York City with the lebanese vocalist Rima Khcheich in a program encompassing music from the ancient courts of Al-Andalus to songs from the 1940s and ‘50s in Egypt and Lebanon.